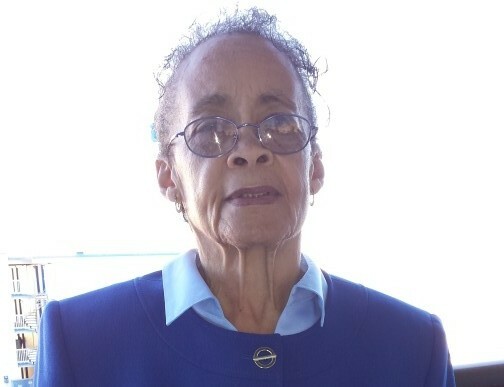 Barbara Covington of Richmond, Virginia passed on Monday, April 15, 2019 at her residence. Today, we celebrate the life of Barbara McNeill Covington. She was born July 6, 1941 to the late Jerry Henry McNeill and Sarah Alice Rollins McNeill. Barbara was educated in the Lee County School System and grew up in Tempting Congregational Church, Sanford, North Carolina. She was the youngest of five children and always left a unique impression. Barbara chose Christ early in her life. She was an active member at St. Mark United Church of God, where she was on the Usher Board and also sang in the choir. Her love of music included singing and playing the piano. She later became an active member at Tempting Congregational Church where she taught Sunday School and served on many boards and committees. She loved the competitive charitable events as an effort to fund raise for the church. Barbara’s love and compassion for people led her to become a Certified Nursing Assistant. She touched everyone’s life with love and kindness and her patients became her family. She served on many community outreach programs and gave wholeheartedly wherever she could. Barbara was joined in marriage to the late Roy A. Covington, Sr. and to this union was born Roy A. Covington, Jr., Barbara O. Covington, and Robert C. Covington. Barbara was preceded in death by her son, Robert C. Covington; three sisters, Mable Lou Jones; Betty Chesney; Magaline Graham and one brother, James Henry McNeill. She leaves behind her family to honor, acknowledge and cherish her memory of unrelenting strength, forgiveness and love. Her loving son, Roy A. Covington, Jr .(Regina) of Pooler, Georgia; her daughter, Barbara O. Covington of Richmond, Virginia; her one remaining sister, Gertrude Snipes; grandchildren: Dr. Neisha Sheree Cameron; Cquieane Melacia Covington; Dr. Sharron Renee Williams; Amber Christina Leach; Roy Alexander Covington III; Romareo Lazare Jackson; daughter-in-law, Donna Covington; one great-grandson, Ryan Cameron Robert Clinton. She is further survived by fifty-one nieces and nephews and numerous friends and family. Although Barbara held numerous positions and stations of servitude, her greatest contribution to the world were her children. She cherished her role of nurturer, protector, teacher and doctor. Let her legacy always rest on love and how she shared that special ability to love. There's still time to send flowers to the Funeral at the Tempting Congregational Church at 1:00 PM on April 24, 2019.